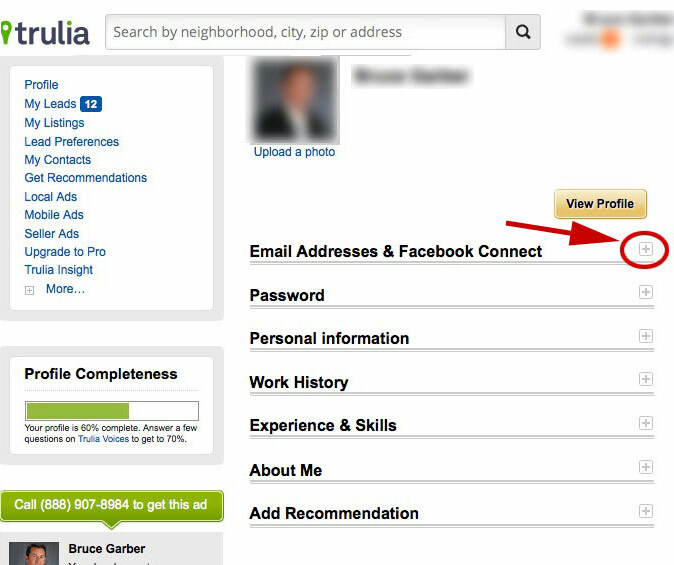 Once you've generated an unique email for Trulia in your Lead Email Setup, please navigate to http://www.trulia.com to complete the setup process. Expand the Email Addresses & Facebook Connect section by clicking the + symbol. 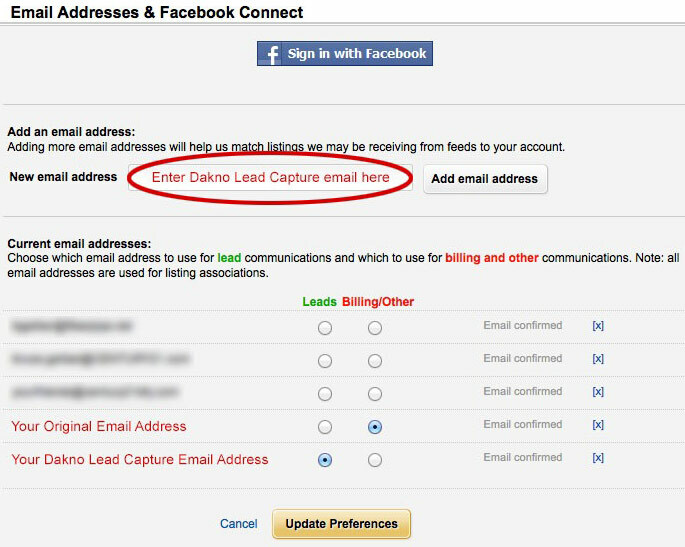 Enter your Dakno lead capture email into the New Email Address box, and click Add Email Address button. You will receive a verification email, click the link in the email to verify the account. Once verified, you will see your Dakno lead capture email address listed. Make sure Billing/Other is selected for your original email address. Select Leads for your Dakno lead capture email address. Trulia leads should now aggregate in your DaknoAdmin.